Wayfinder Missions came to Clicked Studios with a vision to help people in need all across the world. 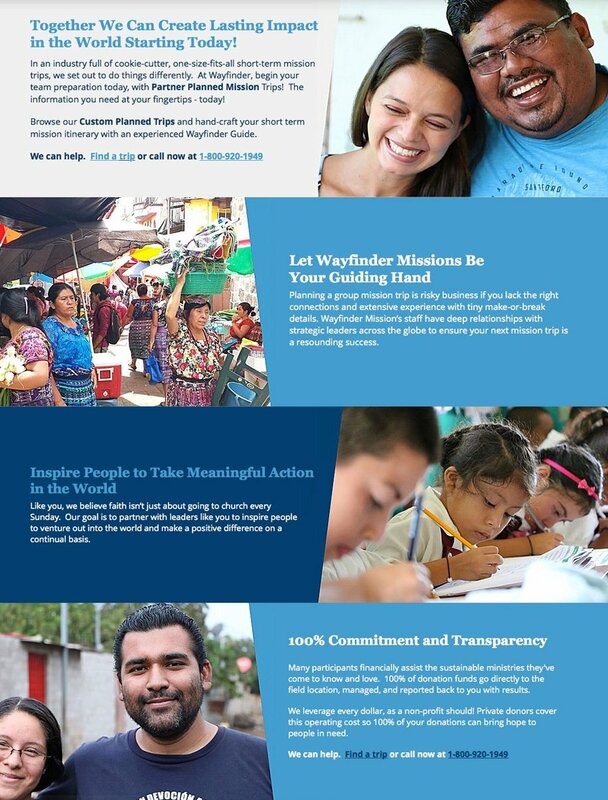 Rob Graham, Wayfinder’s founder, knew that in order to compete with large companies already dominating the mission trip world, he’d have to launch his brand in way that instantly made Wayfinder Missions stand out and show people why it offers a special opportunity to make an impact in people’s lives. Rob and Clicked Studios got to work immediately by diving deep into the strategy that would drive his brand forward. Together, competitors were analyzed and dissected to see what made them tick and define how Wayfinder could communicate its special way to connect people willing to serve and people in need. 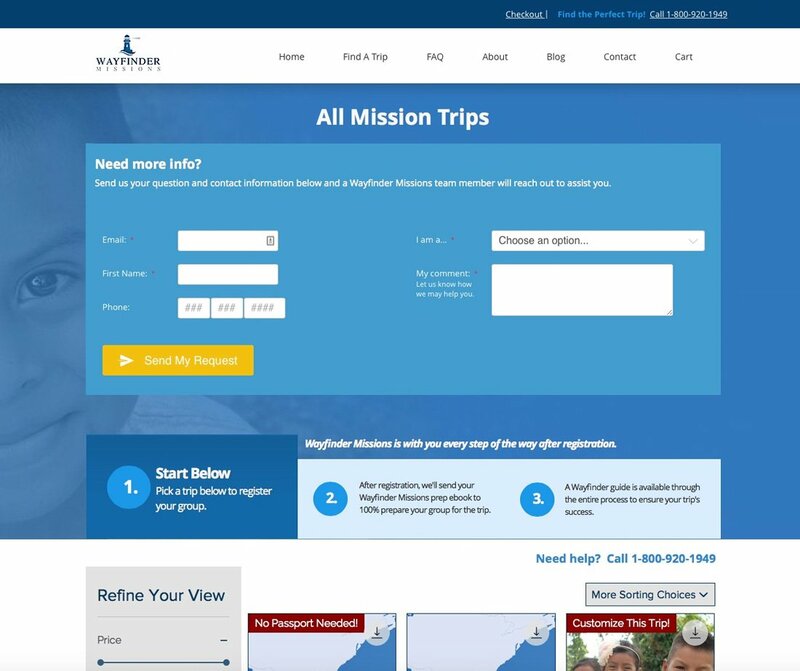 Once Wayfinder’s strategic positioning was settled, Clicked Studios expertly executed on these ideas with the creation of the brand’s messaging, sales copy, graphic design, artistic direction for video pieces, a responsive web design, and build out. After launch, Wayfinder and Clicked Studios continued working together to scale up the brand’s digital marketing effort. Within the first month, Wayfinder closed its first deals despite being a brand new company with zero awareness in the industry!